Inside these pages is my life so far, and what I've learnt - or haven't learnt - along the way. Read about my cowboy hat years, the year I dug a big hole, and the time I pulled down my pants at a badminton game. 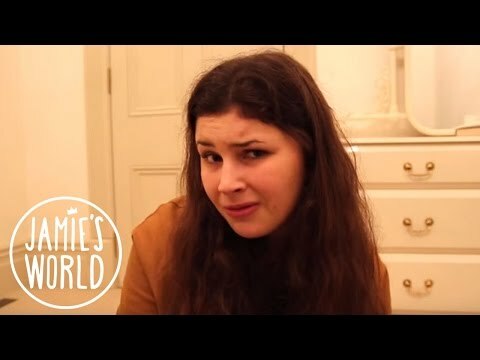 19-year-old Jamie is creator of Jamie’s World, the social media sensation that’s been entertaining her fans with the trials and tribulations of her awkward adolescence ever since she first began posting videos from her bedroom aged 16. With over 10 million Facebook followers, and 1.4 million YouTube subscribers, Jamie is probably one of the most famous people to come out of New Zealand. That might be why she was nominated for “Favourite Internet Sensation” at the Nickelodeon Kids’ Choice Awards this year. Item Added: Jamie's World: They Let Me Write A Book!